Or, in this case, readers. Lisa Earle McLeod writes from two key drivers: frustration and passion. Her book Selling with Noble Purpose embodies everything she’s learned and passionately believed in her career as a sales consultant, that selling is for the benefit and the maximum impact for the customer, not just giving them what they think they want. ‘It gives you more courage with your customers,’ she explains. And there’s a very clear parallel with writing for your readers, too. There are some great examples too of how the book works with the business, with a useful taxonomy of ways in which she as the author can work with clients who’ve read the book and want more. Alison Jones: Hello, welcome to The Extraordinary Business Book Club. Today, I’m here with sales leadership expert Lisa Earle McLeod who created the Noble Purpose concept and strategy after her research revealed that organisations driven by a Noble Purpose, and I’m going to come on to that, outperformed the market by over 350 percent. Her best selling book, Selling with Noble Purpose has been a game changer at global firms like Flight Centre, Hootsuite, and Roche. 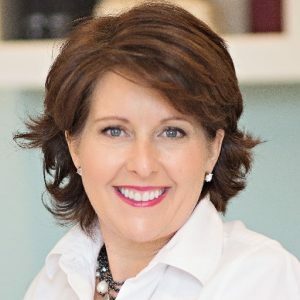 Lisa is the sales leadership expert for Forbes.com, she’s appeared on the NBC Nightly News, The Today Show, Oprah.com, Good Morning America, and so on and she’s known for her cutting edge ideas, practical techniques, and inspirational humour. She’s the author of four best selling books in four different genres, leadership, sales, personal development, and a collection of humour essays so welcome to the show, Lisa. Lisa McLeod: Thanks, it’s delightful to be here, Alison. Alison Jones: No pressure. Let’s take the pressure right off, just start by telling me a little bit about McLeod & More and also how the kind of whole Noble Purpose principal kind of came about, I’m fascinated by that research, the 350 percent performance increase. Lisa McLeod: The data is all over the place. Now, when I first started doing this, I’m a sales leadership consultant, and I work with, my firm works with a lot of companies on improving sales growth, sales productivity, the sales narrative and how we landed on this concept of noble purpose was about eight years ago a large biotech firm hired us to study their sales force. They wanted to identify what was the thing or things that differentiated the top performers from the performers who were good. In sales, it’s pretty easy to track from the numbers perspective but what’s harder to put your finger on are the behaviours. In most sales organisations you can tell the difference between the poor sales people and the good sales people but this company wanted to do something different. They wanted to identify what was the difference in the exceptional performs. I went back to all the interviews with all the other representatives and I found several representatives that had alluded to it, that talked about their passion for the drug or for helping doctors. At the end of the study the biotech company said, “Who do you think our top representatives are?” I had found five in total that had alluded to this sense of purpose and I said, “I think it’s these five,” and I was 100 percent right. Alison Jones: Sales revenues, yeah. Lisa McLeod: Those were the top five sales people. That one person, that one representative who had spoken in such emotional terms about this one grandmother was the number one sales representative in the country for three years in a row. For me, that was just a turning point and so I began to study this. The data could not be more clear. Across industries, across cultures, across nations, people with a sense of purpose out perform people that are focused on targets and quotas. Alison Jones: You didn’t just leave it as purpose did you? You gave it that lovely qualifier, noble purpose, and that really struck me when I first heard it. It’s such a lovely word but it’s actually a slightly archaic feel about it almost. Why that word? Lisa McLeod: It is. Well, I’ll tell you. It came about through another single conversation and once I had discovered that purpose was it, I started crafting a language around it. It was just by coincidence that I came up with this word, noble, because what happened was I had a meeting with a CEO. This was a very large company and I had worked with a number of their operations leaders. I’d worked with the COO and I’d worked with the Chief Sales Officer but I had not met with the CEO. They were having a sales problem, I had worked with them five years earlier and they said, “Well, we need to call Lisa McLeod back in, we’re having a sales problem.” I go down and meet with the CEO and I’m all excited because they’ve called me in and I’m meeting with the top person and I had this conversation with her where she was talking about her sales people. The second we crafted that word it just felt so right. It really speaks to, noble embodies what we’re trying to do here because it is about being in the service of others but in this case in business, it is not just this benevolent, you know, out there serving humanity, Noble Selling is in the service of your customers. Alison Jones: That’s so interesting. Do people immediately get it? When you say, “Noble Purpose,” do you find people go, “Oh, what do you mean?” or are they like, “Yes! That’s what it is, I just hadn’t articulated it before.” Or is it everything between? Lisa McLeod: More the second one. People say, “That’s what I’ve been feeling, that’s what I meant.” I’ll tell you the mistake that people make though, and it took me a while to realise this, is they equate this with being a good corporate citizen, which is important, and the Noble Purpose companies that we studied that were high performers are good corporate citizens, but that is a by-product of being a company that focuses on improving the customers condition. People will say, “Oh yeah, Noble Purpose, we give to charity,” which is great, which I think every company in the world should do, but my work is centred around the Noble Purpose of your business, it is a commercial model and it is how you improve your customers’ condition. Alison Jones: That’s an interesting point isn’t it because it’s a great discussion and there’s lots to be said for the stuff that you do, the mission of your organisation, but your point is that it doesn’t matter what the mission of your organisation is in a sense, you still have the Noble Purpose because you are fulfilling that duty to the customer. Lisa McLeod: One of the ways I think of Noble Purpose is it’s kind of like a meta mission. A lot of companies will have these big long mission statements, “We want to do good in the world and be the preferred supplier and be nice people, treat our communities well, blah blah blah blah blah.” They’re nice but they don’t inform behaviour. It provides that organisational alignment and it’s a filter for making decisions from, “Where do I make my next sales call today? Which markets do we go into?” Big and small it acts as that decision making lens. Alison Jones: How does a Noble Purpose fit with that big, broad company mission then? For an individual sales person, say? Lisa McLeod: For individual sales person, so at Roche, I’ll go back to their example because it’s very public, “Doing now what patients need next.” When a sales person goes in to an interaction with a physician, instead of thinking, “What am I going to say about my drug? What are all the wonderful things I need to talk about?” That sales person needs to be focused on who are these physician’s patients and what do they need and how can I help them? Alison Jones: That’s that alignment, yeah. With the McLeod & More business, how does Selling with Noble Purpose, the book, relate to McLeod & More the business? What was your intention for it and how has it worked out in practice? Lisa McLeod: Well, the book supports the work that we do and I’ll tell you, I’ve written several books, and when I sat down to write Selling with Noble Purpose after that day when I said, “Sales is a noble profession,” because we were like, “Selling with Purpose, how is it,” when we said, “Selling with Noble Purpose,” that book flew out of me because it was everything that I had always tried to articulate about sales. What the book outlines is how an individual organisation can implement this methodology. We work with a lot of companies from, you know, I work with some solo consultants, I work with mid-size companies, I work with very large companies, and what we do, we take that essence of who they are. Either take their existing purpose statement or craft a purpose statement for them and then work on really, three things. The third piece is really embedding it. What I mean by that is, there is an emotional component to this and people talk about culture. They often try and build a culture around internal aspects of the company like, “We’re going to be the cool company. We’re going to be the fun company. We’re going to be the smart company,” and then they’ll get, “We’ll get Football tables in our break room,” they’ll try and do all these things and those things matter and the way the place looks and feels matters. What we’ve found with our clients is to really embed this idea that you are in the service of your customers in a big and powerful way, gives people something to rally around. I want to be really clear on some differences here. You asked me how the book works in with our business. I wrote a book on leading with noble purpose, I do a lot of keynote speaking, and I also do work with clients directly. One of the things that comes up in that work is, people will say, “Oh well this is all about being customer centric,” and… not exactly, because what you find in a lot of companies when they say, “We’re going to be all about the customer and be customer centric,” is that people often wind up feeling like indentured servants to the customer and they have to do everything the customer says. This is actually about something that’s slightly different but it’s really important. Noble Purpose is about the impact you have on customers. What that means is, you have an end game you’re going for in terms of improving the customers condition and so you don’t just react to everything they ask you for. Henry Ford famously said, “If I’d have given them what they asked for I’d have made faster horses.” Noble Purpose is about the impact. For example, in our company, our Noble Purpose is, “We help leaders drive revenue and do work that makes them proud,” and so our purpose when we go into a company is to help them accelerate their revenue growth and simultaneously help their team be really excited and proud of the work that they’re doing. If they ask us for something that’s not going to serve that purpose, we don’t do it. We say, “No, here’s what we’re here to help you do and this is not going to help you with that.” It gives you a lot more courage with your customers. Alison Jones: Yeah, and focus, that’s interesting. When you talk about embedding as well, I have to say that really struck me in the book. I was, I think from the title, slightly expecting more of a manifesto piece, and there is that, there is that sort of, “This matters and this is why,” but very quickly you go on to really detailed tactical stuff like implementation, which I found really useful actually. Books that carry on saying what a great idea this is without telling you how to do it are really quite frustrating so thank you for that. Lisa McLeod: You’re welcome and it was really important to me because if you look, I started this journey about eight years ago, and since then purpose has become a really hot buzzword but if you look, a lot of the talk about purpose is about brand ideals and this aspirational quality and what you stand for and all of that is critical, that’s where it starts. I wanted to take it to the next level and say, “Here’s how you actually do it. Here’s how you align your CRM. Here’s how you do your meetings. Here’s how you do your operational assessment,” versus just, “Oh we stand for this great thing and we’ll just talk about it and talk about it and somehow something will happen.” I wanted to make it super practical. Alison Jones: I guess that that practical angle, you were talking about how the book fits with the business, I’m guessing that there’s a real connection there. How has it worked out in practice? Serving people one on one and also having the book, what’s the relationship between those two aspects of you? Lisa McLeod: The thing that’s really happened is the book became very popular and so now people call me because they want my help with implementing a Noble Purpose. Lisa McLeod: Right, and so now you have people call you and instead of trying to take companies that don’t get it or they’re a one or a two on that scale and you’re trying to do some big turnaround, you have people that are a six or a seven and so they call you. An example, and all the examples in the book are real and they’re real customers and clients of ours and they are more than proud to be part of it and have their names on it. They already had that sense of purpose, they’d already created their purpose statement, which is, “We care about delivering amazing travel experiences.” They were already moving in that direction. What I gave them help with was taking what was a seven or eight and making it a nine or ten, which was accelerating, how can you care more? How can you deliver better? How can it be more amazing? How can we assess this? How can we embed it in the operations? Those are the kinds of things. The book, the relation from the book to my work, it actually put me in front of more of the right people. Alison Jones: Right, and here’s something that I often work through with clients is, do you have a thing, a programme, a sort of way that working with people that you can migrate people to when they come to you and say, “Yes, I want to work with you having read the book,” or do you just do it on a case by case basis? Lisa McLeod: It’s a little bit of both. We definitely have a methodology now and so that’s why I’m so grateful to those early clients because it wasn’t quite as clear back then. We definitely have a methodology now that we use and it is also on a case by case basis because some people will need more help in one area than the other. Typically I work in three ways. I do a lot of speaking where people will come in to have me give the jumping off talk to their sales team or their leadership group. Often times then they take it from there. The other way that I work is on these large scale projects, which will take a couple months to a year, I mean a global project will take a year. I’ve done some local projects, you know, were we worked for 90 days and we were able to get a better message out, get people on board, make a couple of quick changes. The other way that I work and I’m finding myself working more frequently is I work as an executive advisor where I’m there to support, and I do this with a couple of CEOs and I also do it with a couple of solopreneurs where we have regular conversations and they’re doing the implementation and I’m just behind the scenes. Alison Jones: Right. I think that’s fascinating for people listening to this who are thinking about how they build out the business sort of off the back of the book, it’s really interesting to hear what people are doing so thank you, that’s really helpful. I wanted to ask you also about the stories in the book which you do really, really well. You use them beautifully to illustrate points you’re making. Of course, you’re sort of walking the talk because you’re saying in the message that you know, stories allow the leaders to connect with and inspire their workforce. How did you go about collecting and managing those stories? Do you have like an inspiration drawer or things that you note down? Lisa McLeod: Yeah, I did have a notebook and one of the things that a lot of people write, will come up with an outline, and they’ll write to the outline and they’ll fill in and that doesn’t really work for me. What I did was I came up with a list of topics and I wrote on them every single day while I was writing the book. I would just open up my laptop and whichever topic, because I knew I wanted to write about how do you manage your CRM? I knew I wanted to write about meetings. I would just open them up and it happened so beautifully that it seemed like wherever I was that week, there would be a topic that would relate to it. I would open up my laptop and start to write. I’d write about, I would have just come from a meeting that was an epic success or an epic fail and I’d write the story. The stories just filled themselves in. Later, I went back and organised everything because one of the things I noticed, I write a column, a weekly column, and I’d write a lot about other peoples books. I can tell the books that come across my desk where someone said, “I need a book to establish my thought leadership,” because they’re really boring. Alison Jones: No go on, say it how it is. Lisa McLeod: They’re very contrived. Yeah, they’re really contrived and boring but I can tell the books that come across my desk where someone said, “I have to say this to the world or I will die,” and those are the really good books. For me, I always say, “I don’t write a book until it’s too painful to not write the book.” I don’t know if I’m going to write anymore, and that was actually how Leading with Noble Purpose came about because I wrote Selling and it was so successful but then when I saw is when people just implemented it in their sales organisation it wasn’t nearly as successful as those companies that are in the second book like G Adventures and Hootsuite and Flight Centre that implemented it company wide and so that book was about how they did that. Alison Jones: I love of course obviously you’re talking about the big, broad concept, which is the most worthy part of it but as a publisher I’m also thinking isn’t that clever because you had that lovely distinctive qualifier, noble, you can then transfer that across to other things, which is actually a very clever way of titling and owning that bit of intellectual property. Lisa McLeod: I totally did not. Alison Jones: It works, it works really beautifully and other people can learn from that. Lisa McLeod: Well and the thing is, I’ll tell you the good and bad thing about Noble Purpose is people grab the language immediately because it feels like what they always knew and believed about themselves and their company. The language becomes really repeatable really quickly and that’s what I wanted. I wanted something that people could use. The challenge is, when I see other people writing about it and I send them an email and say, “By the way, that’s trademarked,” because it doesn’t seem like it would be because it feels so natural to people, but it wasn’t six years ago. Alison Jones: How interesting, yeah. It depends on how they’re using it. I guess if they’re referring to it and crediting you it’s one thing, if they’re just appropriating it, it’s something completely different. Alison Jones: How interesting. Do you know everybody out there is hating you right now because you obviously just sat down and effortlessly wrote this book so you have to say something helpful now to redeem yourself. What is your one best tip? Lisa McLeod: I sat down and wrote it effortlessly after 15 years of banging my head against the wall with this problem. Alison Jones: That’s helping, I feel a bit better now. Lisa McLeod: The book flew out of me because I was searching for that thing, that magical thing that differentiated people and I’ve always been a student of human behaviour and so you know what I would say to people listening that want to write a book, the first book I wrote was in 2001 and I had no writing experience, I had been in sales, and I wanted to write a book, I have no idea why, because well, I thought I could do it but ignorance was bliss. Alison Jones: You were 15 years too early weren’t you? Lisa McLeod: I absolutely was because this was 1999. I said, “Well, someone should write a book about that,” and someone said, “Well, why don’t you do it?” I was like, “Okay, I will.” I went to my computer and I had no idea what I was doing. I could take you through the whole journey but the point was, I ended up getting the book published by Penguin Publishing and getting on Good Morning America and it took a while, it was not effortless. I had to do all the things that you’re supposed to do but I was just so frustrated with this problem. Frustrated with it in myself, frustrated with in others so I wrote this book called Forget Perfect that did pretty well. I guess that’s the thing is if people are thinking they want to write a book, don’t just look at what you’re excited about, look at what you’re really annoyed about. Alison Jones: The chances are other people are annoyed about it too. Lisa McLeod: Right and it also is, if you look at the really good books, they’re not just an author sharing their wisdom, it’s an author who went through the journey themselves. There’s some things that I am instinctively good at that I’m not necessarily a good coach on because they come very naturally to me. The Noble Purpose concept was me, working for decades to marry my capitalist, assertive, sometimes downright aggressive self with my peaceful, hopeful, wanting to make a difference self and it took me decades to put those things together. I think that’s why the book resonates with people because I went through that journey. Alison Jones: Do you know you’re right, and that’s one of the reasons for the power of the title. It hadn’t struck me before, it’s the antithesis that’s implicit in those two things, noble and selling isn’t it? Lisa McLeod: That’s exactly it. That for me was embodiment of who I am. I got my first sales job when I was 19 and I fell in love with the profession and yet throughout the course of my life, I devoted myself to causes, I’m a mother, I’m a peace activist, I’m all these other things and so I always felt like I had these two sides of my personality and this really brought them finally together. Alison Jones: Brilliant. If we’re going to distil that tip, it’s something about passion and frustration, not a bad way to start is it? Lisa McLeod: Yeah, I mean, think about what you’re excited about and think about what you’re angry about and just start writing. Everyone thinks they have to have this big outline for a book, you don’t. Just sit at the keyboard, bang it out. Don’t start at the beginning. If you’ve got something for the end in mind, start there. If you’ve got the middle in mind, start there. Just start. Alison Jones: I’m a big fan of outlines but I know they don’t work for everybody so absolutely. Some of my people in my bootcamp cannot work with an outline, it stifles them so they just start and they pull it together later. Lisa McLeod: Right, and it’s different with connecting ideas, you’re going to eventually need to get some organisation to the thing. Alison Jones: You’re right, if the organisation stops you starting then it’s not serving you so just starting is the key, isn’t it because if you don’t start you have no chance. Brilliant, thank you. I always ask my guest to recommend another guest for the show, someone with something interesting to say about the business of business books. Who do you think would make a great guest for The Extraordinary Business Book Club? Lisa McLeod: You know, one person I think would be really helpful for particularly as you’ve described your listeners to me, is Dorie Clark. She is an author of a book called Brand You. She’s really about personal branding and has done amazing job of it herself. She’s super interesting and she really, I just love her. I’m friends with her and she really goes beyond just the basics. You talk about pulling out of you what is the best of you, the core of your soul and then turning that into something that you can take out into the world. She really understands that on a very deep level. Alison Jones: Awesome, and writing a book is so much part of your brand of course, so that sounds like a great recommendation, thank you. I shall go and approach Dorie and I shall tell her you sent me and hopefully we’ll be talking to her soon. Alison Jones: Fantastic. Well thank you so much, Lisa. Just before we go, if people want to find out more about you or about McLeod & More or about the books, more about your business, where should they go? Alison Jones: You will because it’s such a distinctive title. Alison Jones: All these benefits! I’ll put those links up on the show notes as well so if people go to ExtraordinaryBusinessBooks.com they can find all the links there. Wonderful, that was absolutely fascinating, thank you so much. Don’t want to tell us a joke before you go do you? Alison Jones: Topical humour, we like that. Thank you. Lisa McLeod: On behalf of all Americans, just give us a little time, I swear. Alison Jones: Do you know it’s funny, we’re recording this in February 2017 and who knows what will happen by the time it airs. Oh dear yes, let’s stay awake people. All right, thank you so much, Lisa, it was an absolute pleasure talking to you today. business, lisa earle mcleod, publishing, selling with noble purpose, writing. Bookmark.